I have a will, so why do I need a Lasting Power of Attorney? Care to be Different > Articles > Legal and Financial Matters > I have a will, so why do I need a Lasting Power of Attorney? Many people confuse a Lasting Power of Attorney with a will – or assume that because they have a will they automatically have some kind of power of attorney. The power of attorney we’re talking about here is called a Lasting Power of Attorney. A will protects your beneficiaries’ interests after you’ve died, but a Lasting Power of Attorney protects your own interests while you’re still alive – up to the point where you die. The moment you die, the power of attorney ceases and your will becomes relevant instead. There’s no overlap. In essence, by setting up a Lasting Power of Attorney, you give someone you trust the authority to make decisions and to act on your behalf and in your best interests – while you’re still living and breathing. Once you reach a point in time where you need someone to act for you, it’s often too late to get a Lasting Power of Attorney set up. It’s like insurance in that respect. Once it is all set up though, you can forget about it and hope it never has to be used. One of the most important pieces of advice for anyone with a relative who may at some point need care is to encourage your relative to set up a Lasting Power of Attorney – without delay. Indeed a power of attorney is vital for anyone – regardless of age – who has money and assets to protect and/or who wants someone to act in their best interest in terms of healthcare choices should they be unable to make decisions for themselves. You’ll find lots of information on the internet about these and how they work. If you’re still asking yourself why you need a power of attorney, consider the prospect of a complete stranger making decisions about your money, your house or your health and wellbeing – including where you live – while your family is powerless to do anything to protect you. That’s an example of the kind of scenario a Lasting Power of Attorney helps prevent. In that sense, a power of attorney could conceivably be considered more important than a will – depending on your point of view – because it safeguards your interests while you’re still alive. It’s best to get both things sorted though – a will and a Lasting Power of Attorney. It’s also a good idea to have both types: Property & Financial Affairs and Health & Welfare. Remember, you want this person/these people to fight for you should you no longer be able to act for yourself or make decisions for yourself while you’re still alive. These are called your attorneys. You are called the donor – because you’re giving them power to act. If you do wait until you are no longer mentally able to act for yourself, the Court of Protection may not allow a power of attorney to be set up any more. Instead, your family will have to apply to the Court for a Deputyship order. It means that your family is the likely to have to account for their every action and expense on your behalf – including where joint bank accounts are concerned. It can be very difficult – and having to apply for a Deputyship can also be a long process and expensive, and it would be at a time when your family is already deeply distressed about what may have happened to you. Setting up a Lasting Power of Attorney now (known as ‘making’ a power of attorney) is straightforward and it gives reassurance that if you do become incapacitated for whatever reason, whoever you choose as your attorney(s) can act immediately on your behalf and in your best interests. Here at Care To Be Different we see many cases where someone has become unable to act for themselves, but there is no power of attorney. It means the family’s hands are tied are and they are unable to act on their relative’s behalf in any assessment or appeal process for care funding, for example. 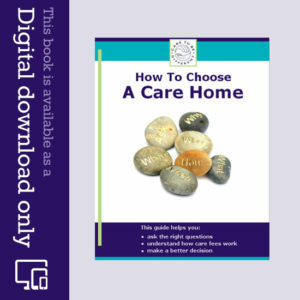 Many families have good reason to feel that the care authorities are not on their side, and the feeling powerlessness while the authorities make decisions on your relative’s behalf is not something to relish. Family members with power of attorney, on the other hand, have been able to fight their relative’s corner and protect their interests when dealing with the NHS and the local authority. 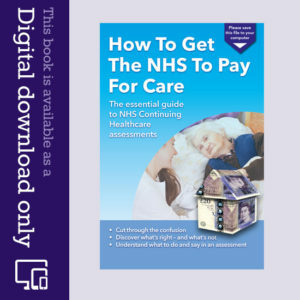 Without such a document they may not even have been able to access their relative’s bank account on their relative’ behalf to pay a care home or care provider – or to influence the kind of care that will be provided – or even where it will be provided. If two spouses or partners are making a power of attorney, they each need to do their own. It can be tempting for partners or spouses to choose the other partner or spouse their attorney. However, it’s important to consider who would be able to act if both spouses/partners are incapacitated at the same time. For this reason, many people also name an additional person or people, such an a son or daughter. Also, spouses should not assume that one spouse can necessarily act for the other just because they’re married. The Court may not see it that way. A spouse often needs legal authority to act for the other – through a power of attorney. You can ask a solicitor to help you with all this, and you can also do it yourself online. It depends on your preference. But whatever you choose, be sure to read up as much as you can for yourself. Read more here about powers of attorney – plus you’ll find a link to the Gov.uk page about Lasting Powers of Attorney. We waited for over ten months for the CCG to assess my late mother for NHS Continuing Healthcare, which was eventually done retrospectively 11 days after she passed away in Jan of this year without the CCG informing the family. I appealed that and another Decision Support Tool was done in April and we were still not happy with the outcome and I want to take it to appeal. However, because mum has passed away the POA has ceased and the CCG are demanding a copy of mum’s will or grant of probate before they will accept any communication from me, or allow this to go to appeal – seems like they have me over a barrel! Is this correct – would appreciate any advice – Many thanks. I read in one of your articles about care fees; you explain if the property is part-owned by another party then the property cannot be included in any assessment for care fees. Does this apply to Wales as well a England? Hi Lyndon – the information we publish here at Care To Be Different relates to England only. You’d need to check out the specific rules in Wales to see if they differ. Can you tell me if the same rules in England for continuing healthcare apply in Scotland, and if not point me in the direction of the appropriate bodies.